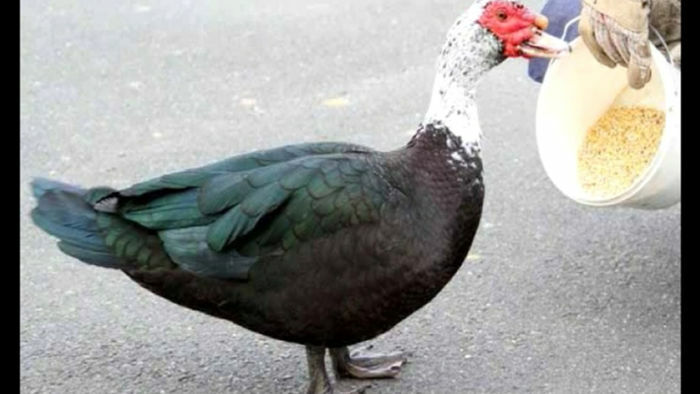 Recently a duck was killed by some teenagers in a Westfield Park. A cruel heartless act. It makes people ask, what is wrong with people today. The Springfield area seems to have more than its share of murders. Typically it is inner city youth involved. The deaths are often drug related. At lunch today the conversation focused on why does the murder of a duck get more attention than one of people? Here is a partial list of stories involving Ozzie The Duck. Here is a partial list of murder stories involving humans. As someone reading and watching the local media, this coverage seems way out of proportion. The duck seems much more important than the deaths of people on the streets. Is it because the duck was innocent and people are not? Maybe the evilness of the city versus the innocence of nature? Possibly a racial thing? Probably components of all of the above. Clearly Ozzie’s killers must be caught and punished. Honestly, I don’t think we get half the coverage following most local murders. We often hear about the ‘sanctity of human life’. It would be nice to see that reenforced by news stories that were more than the ‘hit and quit’ effort that many reporters are engaged in as their assignment editor has dumped five or six stories on them to report, video, write and possibly edit. Or you could do repeated stories on a duck, everyone loves ducks. Posted on November 15, 2011, in Life, media, news, Newspapers, Television and tagged broadcasting, duck, journalism, ma, media, news, newspapers, ozzie, springfield, television, tv, westfield. Bookmark the permalink. 5 Comments. A duck may not be more inmportant than a human being, but they’re a lot less complicated and therefore easier to care about. A few years ago I found that a stray cat had taken to sleeping in my veranda. I was slightly drunk, and feeling benign, so I put out some food for it. After a while, I discovered that it had an injury to its tail, so I took it to a vet. I ended up paying for surgery and antibiotics, giving the cat room and board for a few weeks and finally getting it re-homed. (I had two cats of my own and they weren’t keen on sharing with a new resident). I’m not relating all this in order to convince you that I’m a nice guy,(Informed opinion would be divided on this point). I’m just using this as background for the basic point that there is no way in the world that I’d take equal pains to care for a homeless person. People bring far too many complications with them. While I am an ‘animal lover’ and more than agree with your point about ‘too many complications’, the fact that you would go farther to help an animal than a person seems rather cold to me. I do sadly admit that you are probably in the majority. What I was thinking about was helping people who are not known to me personally in a private capacity. I spent a number of years in Social Work and also in Volunary Organisations in working with all sorts of people, and (hopefully) helping them. As a result of this experience I would be most reluctant to try to intervene in the life of someone I don’t know very well. These things can go horribly wrong. The first thing you need to do if you want to help someone,or indeed an animal, is to understand what they want and need. EG you might think it’s generous to give chocolate to a dog (and the dog would probably accept it with some enthusiasm), I’m sure you know as an animal lover that chocolate is toxic to dogs. In a similar way, you may think it would be a kindness to give money to someone who appears to be in need, but what if they have an addiction and the money you give them helps to finance an overdose. There is also the risk of creating a dependancy or expectation as a result of your help that you cannot then meet. I expect that you’re also aware that Ted Bundy (to give an extreme example) often used to lure victims with fake injuries and requests for help. I suppose the point I’m making is that if you really want to help people, and I think most decent people do, then the best way to do it is through voluntary work or donations to established organisations who have the knowledge, experience, and crucially the professional distance, to make a sound assessment of what’s needed and to act accordingly. I suppose when I used the term ‘complicated’, this is what I had in mind. I certainly agree with your assessment regarding doing what is right for people. It is not what people want, it is what they need which is the key determination that needs to be made. If someone is not ready to be helped, nothing can be done for them. I was in Boston today and came across several beggars. Giving them change is really not helping them, it is prolonging their period of helplessness. Until they make an effort to change their life, nothing will happen. I would never advocate just approaching people to ‘help’ them. They must be emotionally and intellectually ready to wrestle success from the jaws of failure. Not at all an easy thing given all the world is throwing at people these days.